Interview with Nicette Jukelevics. 26 June 1974. A Bibliography of Canadian Concrete, Visual and Sound Poetry 1965-1972. MA Thesis. Sir George William University, 1974. 127-134. 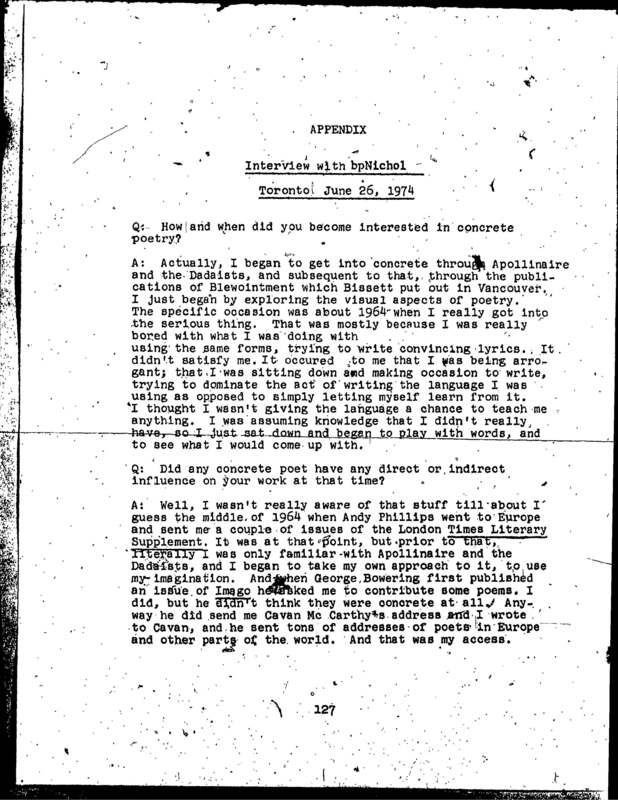 The interview is included as an appendix at the end of Jukelevics MA Thesis.